I see my consciousness as a means or tool to consciously relate or reference internal mechanisms, external objects, matter, energy and collate that to identify an understanding for the moment combining the whole self including other aspects like emotions, senses, consciousness to build a whole picture therein presenting consciously only part of that which can be manifested into words by means of conscious understanding to express with all aspects i.e. whole self rather than just what I think. 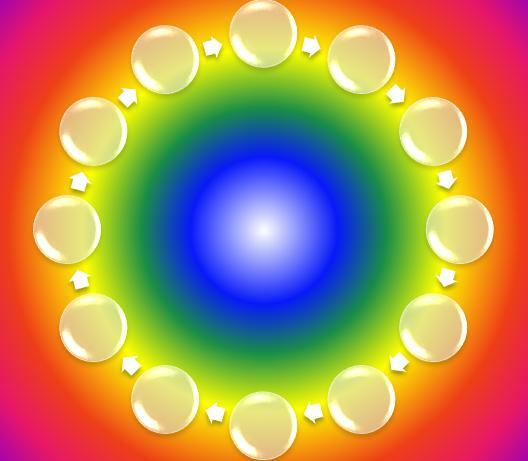 Becoming Neutral to yes, no, good, bad, right, wrong is important to see all aspects so that I do not consciously choose to perceive this way or that opening the awareness to a whole field of incoming energy or energy in situe. Hence unfiltering the filtering we do to define ourselves. In the same breath also keeping a constant on my life pattern to sustain a physical presence as I am with choices and mannerisms to match. Words, Emotions, Feelings get lighter and free flowing when understood to run through the energy field as self rather than analysing or ignoring which holds them up or builds up potency to be denser and more present to conscious positioning if coming from a denser conscious point or position. What it consciously means to me? I seem to utilise my right brain consciousness less and less each day but bring relativities and understandings to my consciousness what it means to me. All the emotions, insights, feelings, physical body, spiritual aspects, all have relativity I automatically understand depths beyond what it is and comprehend at the moment what it means with respect that all changes in an instant that become a greater than before picture or framework, allowing he elements, energy to adjust rather than force it or fight it or push it gives awareness to see it, feel it or perceive it truly as it is. Evolving the Soul in the direction I perceive it to go. Matter streams and trends of life incarnation create a constant pattern that relates to how I am right now so anything before now and anything after I cannot and do not wish to change, good or bad due to the realities of the moment when it was or is to be becomes present as I am now. staying on constant balanced course in a direction to progress and evolve becomes a seamless experience as what comes up can be understood so it can run through my energy fields and aura positioning and I perceive consciously that which becomes me, enhances me by instinct and desire. 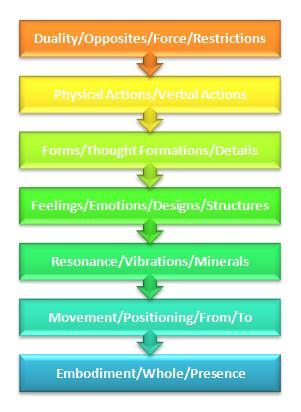 layers of consciousness bring in depth of relativities by means of consciously comprehending the reality, sub-consciously acting upon my trended cycle of life, unconsciously bringing in i.e.. being open to depth aspects of the moment and higher consciousness adhering with divinity program of life. when ever I now see or hear or feel or sense something I can bring in the conscious awareness to enhance perception or believe, everything is right and also wrong, everything is yes and also no, so that neutrally we just experience the energy and its current properties to see where it is at to inspire forward an evolvement or healing towards the instinctual belief of the self. 10 years ago I was Centred and Comfortable with my life but roaming with feelings and emotions of Anger, Hate, Guilt, Fear whereas now I am Centred and Comfortable with Emotions of Harmony, Peace, Tranquillity balanced. The aspects of what becomes comfortable is where I perceive something for a lengthy period of time to which becomes constant therein what I choose to become comfortable with becomes art thereof of me. In our emotion fields we become constant with what we are aware of, perceive or believe. We choose to inspire the emotions that are us and when something comes along that different we block it, ignore it, accept it, understand it, sense it...these have relevancies upon conscious referencing i.e.. thoughts and actions. As before a thought can occur the energy, the emotions and feelings and senses have to play their part first before manifested into thoughts forms by our choosing of how we read the vibrations of energy. Hence we identify with what we vibrate with. Becoming constantly centred through troubles and problems following the circumstance I adjust accordingly the conscious awareness of what happened by means of insight, awareness, perception, belief, this way or that way. Direction is only about positioning to the next instance or occurrence of events to adhere to direction of sight, insight, desire. Duly by adhering to all energies needed to flow through me with holding them up or restricting their flow speed of progression occurs as I flow with a centred self which in turn I become comfortable with the premise of change and adjustment constantly. How I perceive or give insight to the emotional relevancy of the instances sustains the whole feelings or emotional well being of the self. The direction therefore is to utilize loving, caring, calm, relaxed, harmonious, peaceful, pure attitudes towards my thoughts, intentions, desires, belief's, perceptions, observations, actions...which by doing becomes a pure me. Not non descript but whole, one with the self. Awareness comes from the energy fields that we are what is within or around in terms of energy and types and properties. Perception comes about from this whereby we interpret the awareness, the energy to the means of self and duly believe from the perception of the awareness. To progress this just by choosing to believe in everything does not make you see, it starts an intent to be or believe more than currently. It in turn resonates with Perception to do the same inspire that sphere to become consciously more aware of what resonates. So the progressive manner of expanding the belief consciously increases the perception sub-consciously of the awareness unconsciously. Filtering system to present to the conscious mind that to which it deems because of freewill relevant so we choose what scope or framework of belief or perception or awareness to become our constant overtime, meaning that what we conscious relate to consciously constantly becomes our sub-conscious self. intent to become presently aware more understanding and growth or potency is attained by giving intent, intent loves intent so intent builds more intent. Conscious growth is then increased in perceptional awareness by the same means so understanding depth of something is then trended to progress and evolve. The direction of which is sustainable by vision, vision loves vision, does what it does to progress greater more potent visions.